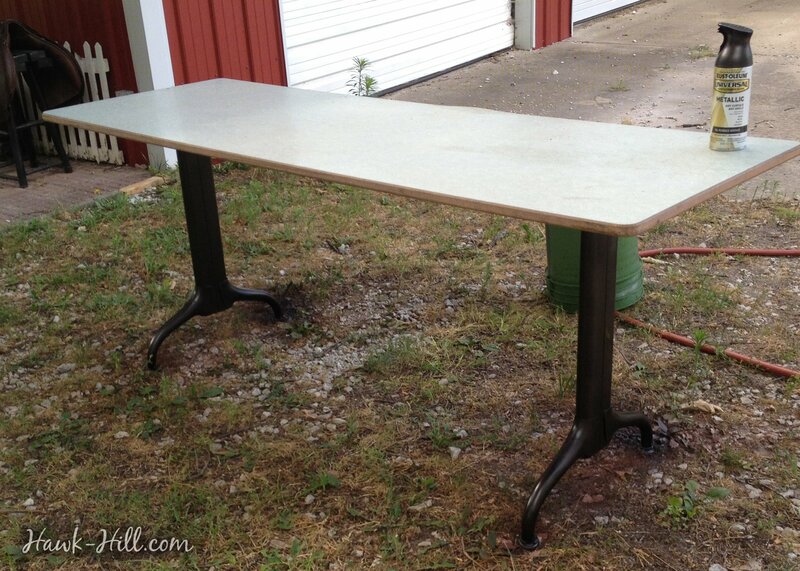 This ugly table was so unwanted that it was left in one of the barns when the previous owners sold Hawk Hill. With a cracked, greenish speckled formica tabletop and rusty vomit-brown legs, it was not easy to love. 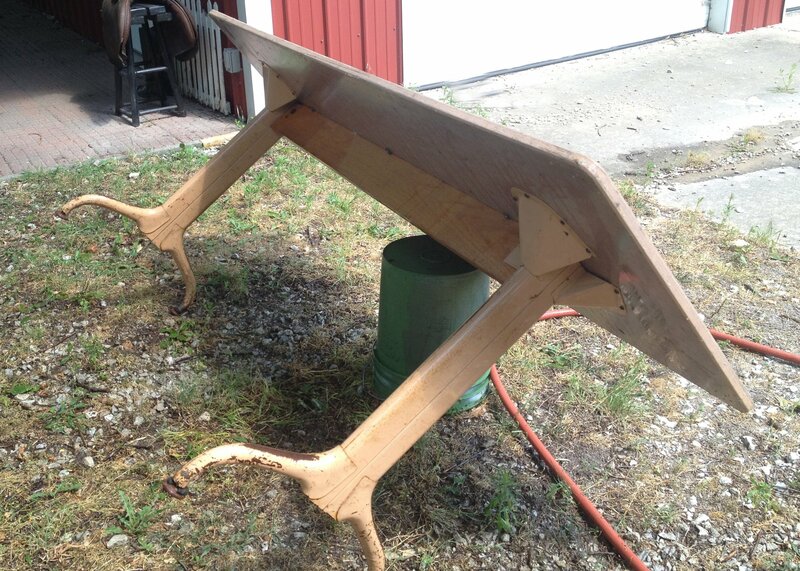 It was my dad who pointed out the form of the legs had a schoolhouse look and might be worth saving to attach to a new tabletop. From his suggestion, I got the idea that a makeover might be all this table needed! This was a quick project, basically I just needed to build a very long, wide, and shallow box to place over the existing table. Because just placing one surface on top of another would leave the edges of ugly surface exposed, I had to create an edge that would conceal the formica surface and frame the tabletop. 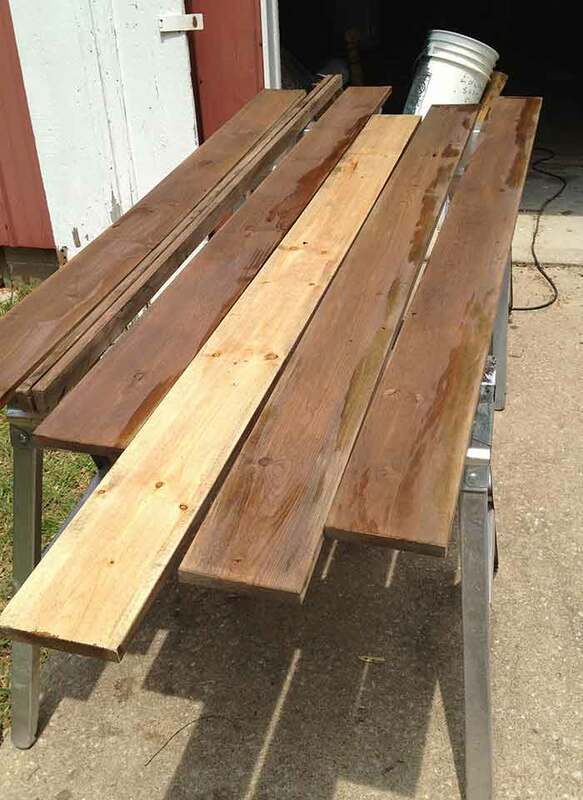 I chose to use the natural wood staining method created by combining vinegar and steel wool and letting the mixture sit for a few weeks to create a stain. I LOVE the finish this creates on wood, and although I’ve never had two batches turn out the same, I’m always thrilled with the result. 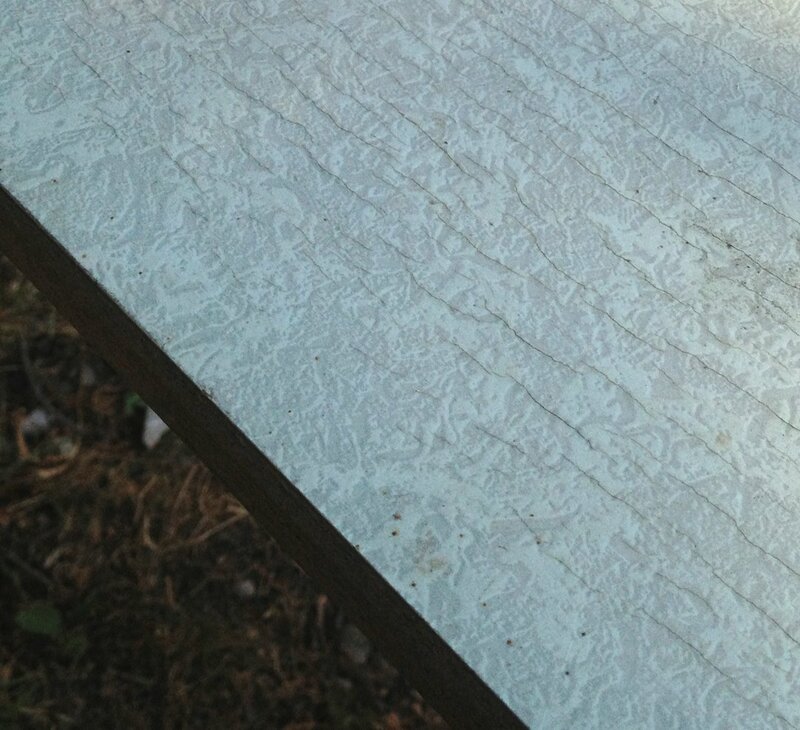 For this tabletop, I diluted the stain I had on hand with a quart of strong Earl Grey Tea, the tannin’s in Earl Grey tea make the stain even darker. 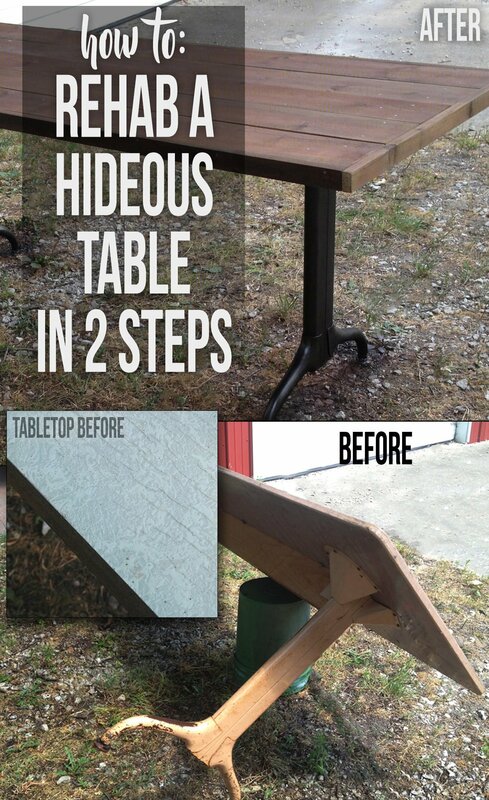 Since I knew this table would be somewhat exposed to the elements, sitting on the porch of one of the outbuildings at Hawk Hill, I chose to take an extra step to protect the surface. I added two coats of Minwax Antique Oil Finish to bring out the grain and make the wood look more vibrant. Step 1 for repainting any old metal is cleaning. I used a bucket of vinegar and water and a steel brush to remove the worst of the surface rust, then rinsed the bits of rust away with a garden hose and lef the surface dry completely. 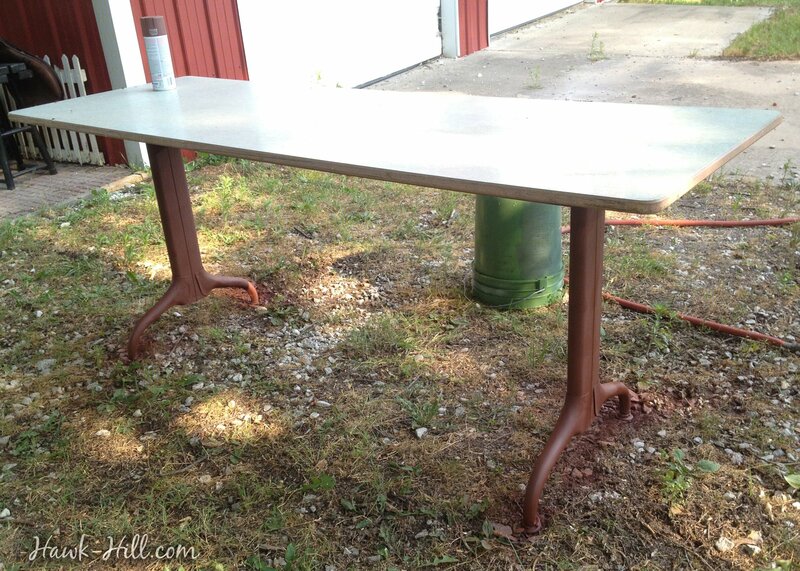 Once I had a perfectly primed surface, I added Oil Rubbed Bronze Spray Paint as a topcoat. 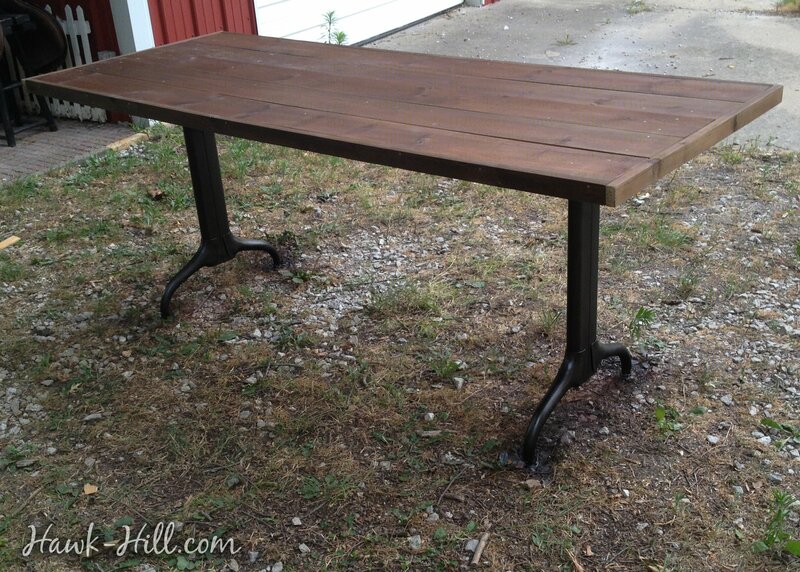 I felt that with the dark wood top, the Oil Rubbed Bronze would create a kind of vintage schoolhouse look. Next, I cut, sanded, and stained my pieces first so I would not end up with unstained portions in the crevices and gaps of my tabletop. I stained my wood with my homemade earl grey tea wood stain. 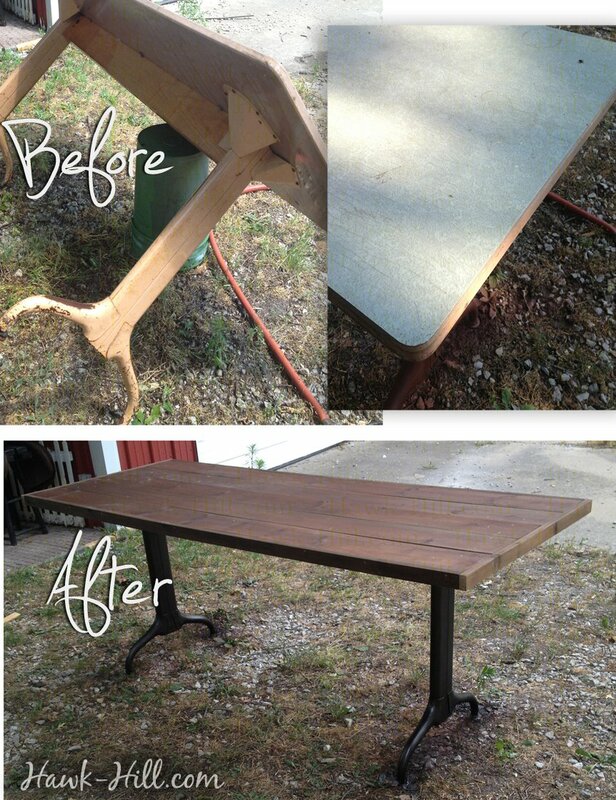 Once the wide boards were added, adding trim around the edges took just a few minutes and I could step back and enjoy my “new” table! 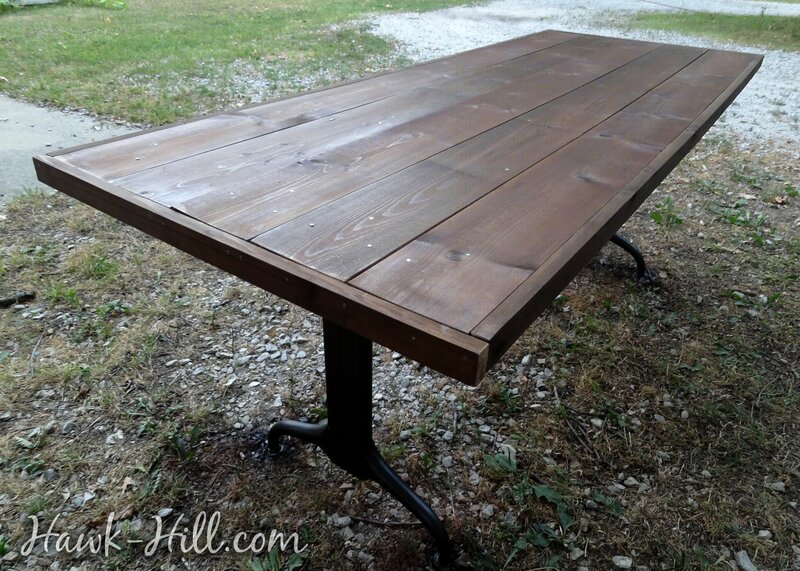 It’s a totally different look for this old table, and one that feels much more at home here at Hawk Hill.